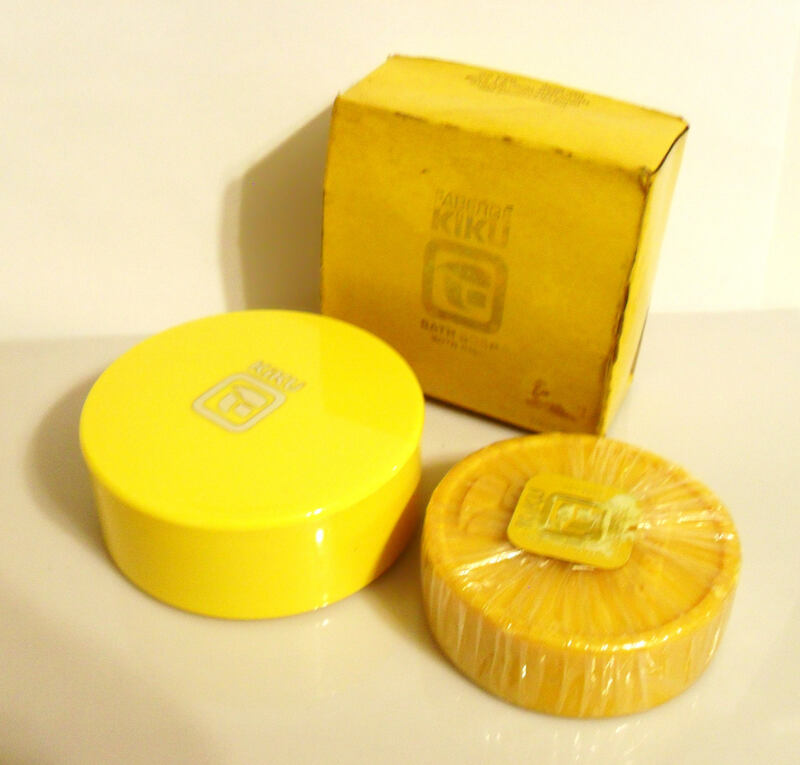 Vintage 1960s Kiku by Faberge Perfumed Soap and Case with Box. Never used! 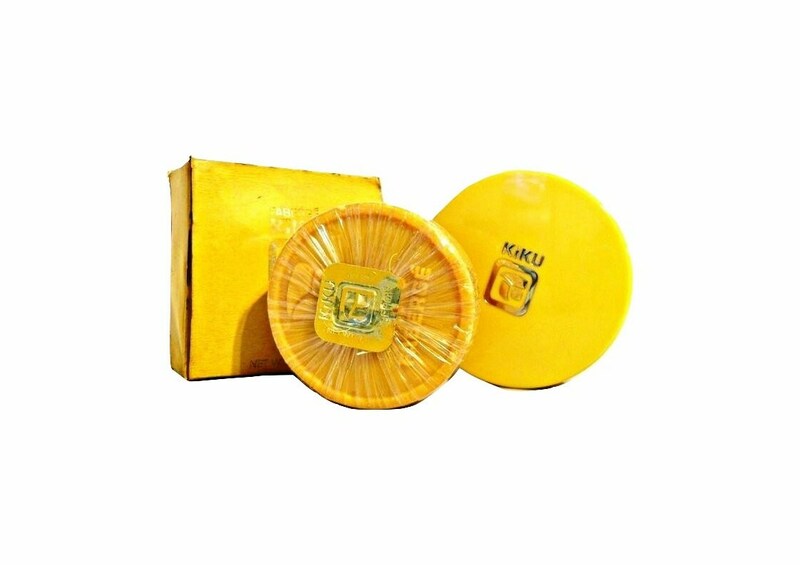 Soap is still in cellophane. I do not know if it is still good to use though, so it's being sold as a collectible only. The box is really beat up from storage but I hate to throw these things away so it's just being added as a bonus. 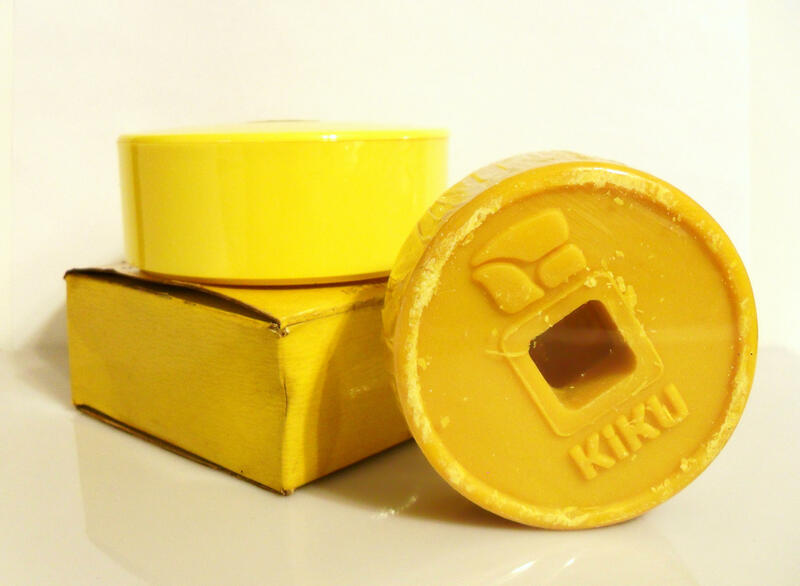 The Kiku Bath Soap is a scented marbled cake carved like ancient yen. Solitary in yellow plastic covered dish. Kiku by Faberge was launched in 1967. 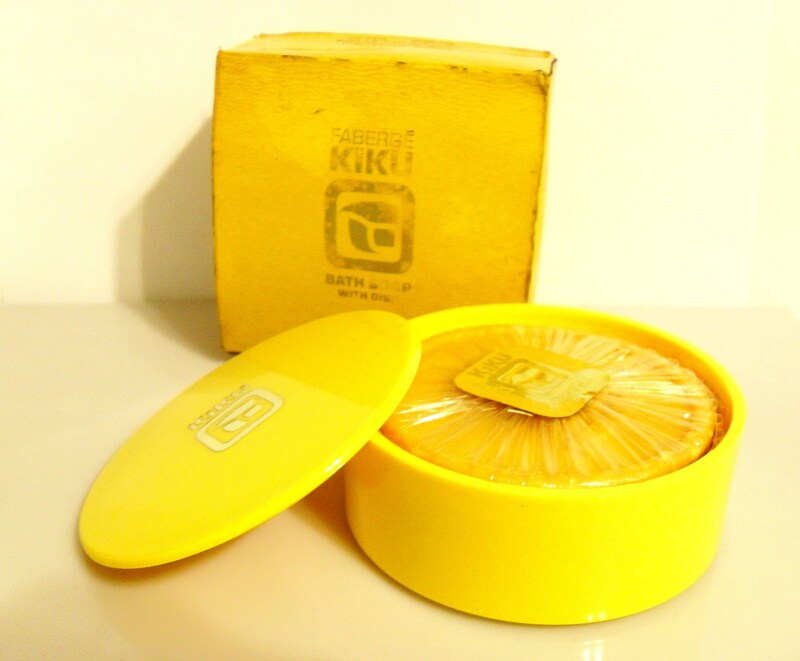 Kiku seems to have been discontinued around 1976. It was a citrus based aldehydic floral oriental perfume.